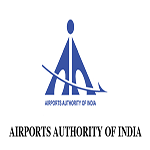 Airports Authority of India (AAI) Recruitment 2019 . Airports Authority of India invites applications from the eligible candidates for the post of 264 Apprentices Vacancies .The employment details about the posts, age limit, educational qualification, experience and other conditions are given below as link. The candidates are requested to go through the details and ensure that they fulfill the minimum prescribed criteria before applying. Apply on or before 18.02.2019. Educational Qualification :A Degree in Engineering or Technology in Relevant Discipline granted by a Statutory University. Diploma , ITI . Check advertisement link below for complete educational info. Age Limit : Age Limit for Apprentices wil be minimum r.8 years and maximum 24 years as on 31.12.2018. Selection Method : Selection for engagement of Apprentices would be based on percentage(%) of marks in the qualifying examination. Airports Authority of India (AAI) Recruitment 2019 . Airports Authority of India invites applications from the eligible candidates for the post of 120 Apprentices Vacancies .The employment details about the posts, age limit, educational qualification, experience and other conditions are given below as link. The candidates are requested to go through the details and ensure that they fulfill the minimum prescribed criteria before applying. Apply on or before 17.02.2019. Selection Method : Selection will be based on Interview out of the shortlisted candidates on merit basis. How to Apply: e interested candidates are required to apply through BOAT’s web portal www.mhrdnats.gov.in by finding establishment Airports Authority of India – RHQ NR, New Delhi and click the apply button in the next page. After successful application the massage will be appear “Successfully applied for the training position.Last Date of receipt of application is 17.02.2019. Airports Authority of India (AAI) Recruitment 2018 . Airports Authority of India invites applications from the eligible candidates who are domicile of West Bengal, Bihar, Odisha, Chattisgarh, Jharkhand, Andaman & Nicobar and Sikkim States for the post of 64 Junior Assistant (Fire Service) NE-4 level at various airports in the above States in Eastern Region .The employment details about the posts, age limit, educational qualification, experience and other conditions are given below as link. The candidates are requested to go through the details and ensure that they fulfill the minimum prescribed criteria before applying. Apply on or before 05.12.2018. Educational Qualification : 10th Pass + 3 years approved regular Diploma in Mechanical / Automobile / Fire with minimum 50 % marks; OR b) 12th Pass (Regular Study) with 50 % marks. Age Limit : 18 to 30 years as on 30th September 2018. Selection Method : computer based/online examination, physical measurement, driving test and physical endurance test. Airports Authority of India (AAI) Recruitment 2018 . Airports Authority of India invites application from eligible candidates for the recruitment of 34 CNS Consultants Vacancies .The employment details about the posts, age limit, educational qualification, experience and other conditions are given below as link. The candidates are requested to go through the details and ensure that they fulfill the minimum prescribed criteria before applying. Apply on or before 30.9.2018. Educational Qualification : candidate should be an CNS Personnel (having B.Tech/Diploma in Electronics, Computer Science, IT or Instrumentation, B.Sc in Physics/Maths/Electronics) and retired senior level executive from AAI, other PSUs, Central / State Government Departments. Age Limit : The upper age limit will be 63 years as on 30.9.2018. For Manager(ENGG. ELECTRICAL): Full-time regular B.E / B. Tech Degree in Electrical. – 5-year work experience in the Executive Cadre in a field of Electrical Engg. For Manager(ENGG. CIVIL): Full-time regular B.E / B. Tech Degree in Civil. – 5-year work experience in Executive Cadre in the field of Civil Engg. For Manager(HUMAN RESOURCES): Graduate and full-time regular MBA or equivalent (2 Years duration) with specialization in HRM / HRD / PM & IR / Labour Welfare. – 5-year work experience in Executive Cadre in the field of Human Resource Management. Selection Method : written examination & Interview. Application Fee : Applicable only for Candidates belongs to UR & OBC category: Rs.1000 (Rupees Thousand only) including GST. No application fee is required to be paid by Women/SC/ST/Ex-servicemen candidates / Persons with benchmark Disabilities (PwD) i.e., Differently abled person. For Junior Assistant: 10th Pass + 3 years’ approved regular Diploma in Mechanical/Automobile/ Fire with minimum 50% marks (OR) 12th Pass (Regular Study) with 50% marks. For Senior Assistant (Electronics) : Diploma in Electronics / Tele Communication / Radio Engineering (03 years Course) from a recognized institution. Age Limit : 18 to 30 years as on 31.03.2017 . Selection Method : written examination, medical examination and endurance test. How to Apply: Candidates are required to send their application through email harbirsingh@aai.aero on or before 15.07.2018. Educational Qualification : Bachelor’s Degree in Engineering/Technology . How to Apply: Candidates are required to send their application through email harbirsingh@aai.aero on or before 11.06.2018. For Junior Executive (Engineering‐ Civil) : Full time regular Bachelor’s Degree in Engineering/Technology in Civil with minimum 60%marks from a recognized / deemed university or from an apex Institution i.e. IIT recognized by Government of India and having qualifying GATE Normalized marks on GATE Score card for the year 2018. For Junior Executive (Engineering‐ Electrical) : Full time regular Bachelor’s Degree in Engineering/Technology in Electrical with minimum 60% marks from a recognized / deemed university or from an apex Institution i.e. IIT recognized by Government of India and having qualifying GATE Normalized marks on GATE Score card for the year 2018. For Junior Executive (Electronics) : Full time regular Bachelor’s Degree in Engineering/Technology with minimum 60%marks in Electronics/ Telecommunications/ Electrical with specialization in Electronics from a recognized/ deemed university or from an apex Institution i.e., IIT recognized by Government of India and having valid GATE Normalized Marks on GATE Score card for the year 2018. For Junior Executive (Architecture) : Full time Bachelor’s degree in Architecture and registered with Council of Architecture. Age Limit : Not more than 27 years for Unreserved Candidate. Not more than 30 years for OBC candidate. Not more than 32 years for SC/ST Candidate. SELECTION PROCEDURE: Candidates shortlisted on the basis of GATE Normalized Marks will be called directly for document verification which will be held at Corporate Headquarters at New Delhi. Educational Qualification : 10th Pass + 3 years approved regular diploma in Mechanical /Automobile / fire with minimum 50% marks; OR 12th Pass ( Regular Study ) with 50% marks. SELECTION PROCEDURE: Computer Based (Online) Test, Certificates/ Documents verification, Medical Fitness/Physical Measurement Test, Driving Test & Physical Endurance Test. Educational Qualification : 10th Pass + 3 years’ approved regular Diploma in Mechanical / Automobile / Fire with minimum 50 % marks; (OR ) 12th Pass (Regular Study) with 50 % marks. Age Limit : 18 to 30 years as on 30.10.2017. a. Upper age limit is relaxable by 5 years for SC/ST, 3 years for OBC (Non-Creamy layer) candidates. SELECTION PROCEDURE: candidates will have to appear for computer based/online examination, physical measurement, driving test and physical endurance test. Application Fee : Rs 1000/- for General and OBC Category Candidates. No fee for SC / ST / Ex-Serviceman Candidates. How to Apply: Eligible Applicant satisfying the eligibility conditions may apply only through online registration link available at Airport Authority of India website http://www.aai.aero —> Careers —> Recruitment online on or before 14.10.2017 upto 23:59 P.M.
Last date for Submission of online Application : 14-10-2017 upto 23:59 P.M.